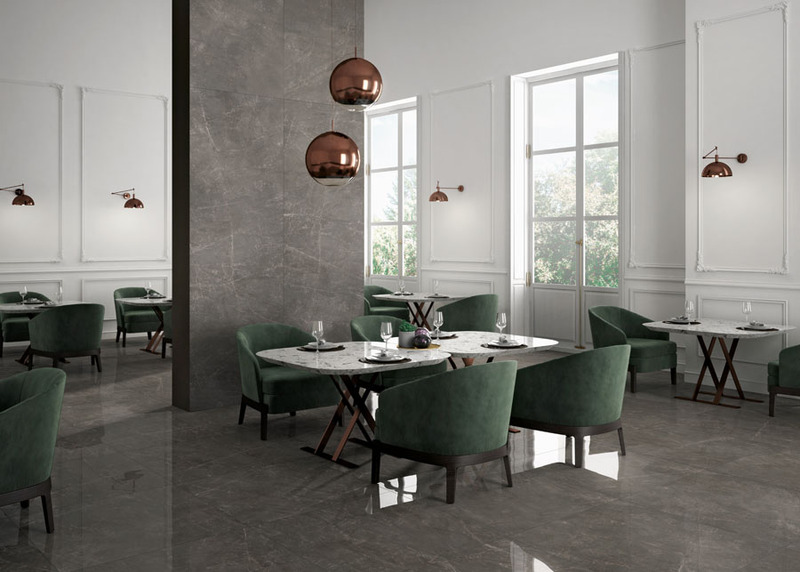 Contemporary Design: Trilogy | Pavé Tile Co.
Trilogy is about contemporary design and classic balance with a selection of timeless marbles. 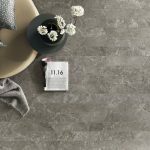 The collection comes in five colours, and two finishes: soft and lux, that play with surfaces according to a unique and coordinated style. 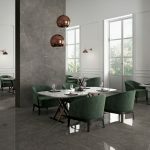 A wide range of different sizes are available to maximise layout solutions including large format 100x300cm sheets, and a broad and versatile range of decorative tiles including chevron. 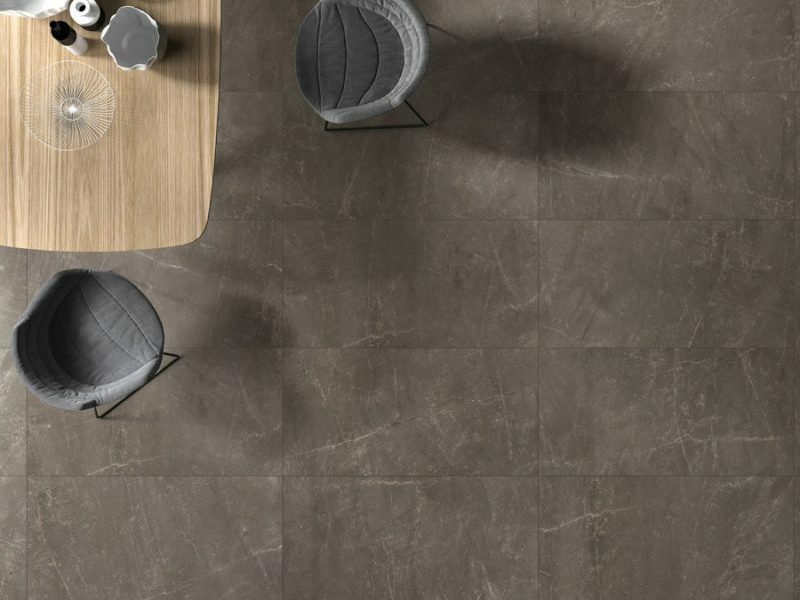 Strong vertical or horizontal alignment, from tile selections to furnishings. 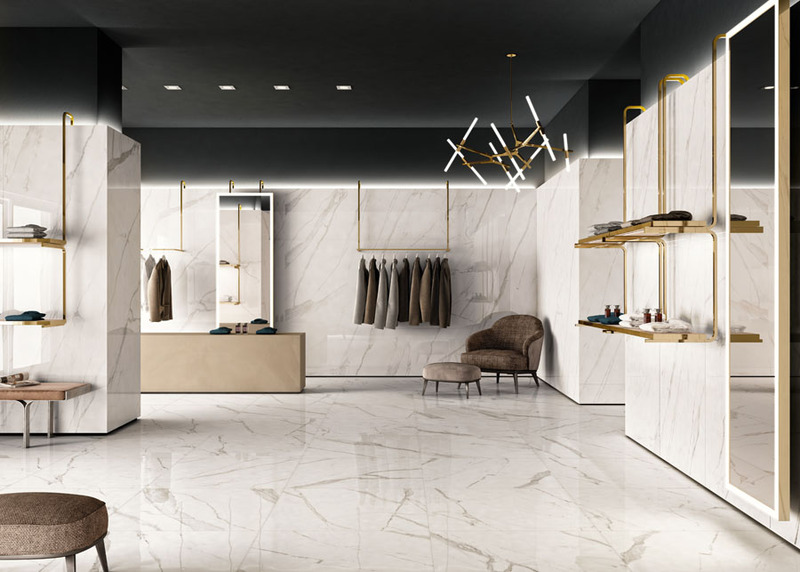 Structure of a room is integral to the design component- think of using the same tile size throughout the entire space to give lineal and spatial distribution. 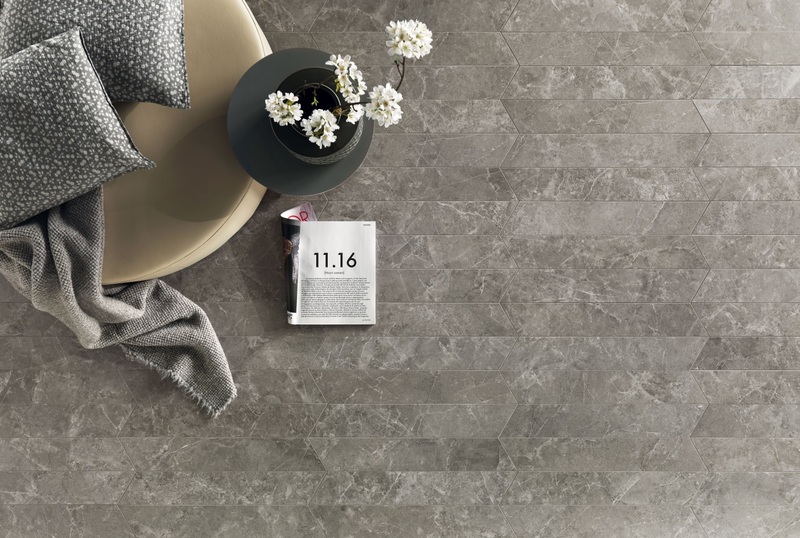 White, Grey, Charcoal and Beige- these colours are the foundation upon which contemporary design lies. 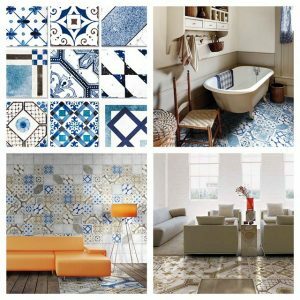 Monochromatic and tone-on-tone schemes allow the lines and movement of the tile within a space to take center stage. 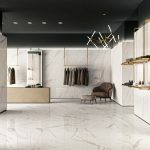 A space in its itself can be of sculptural quality carved out by strong architecture. 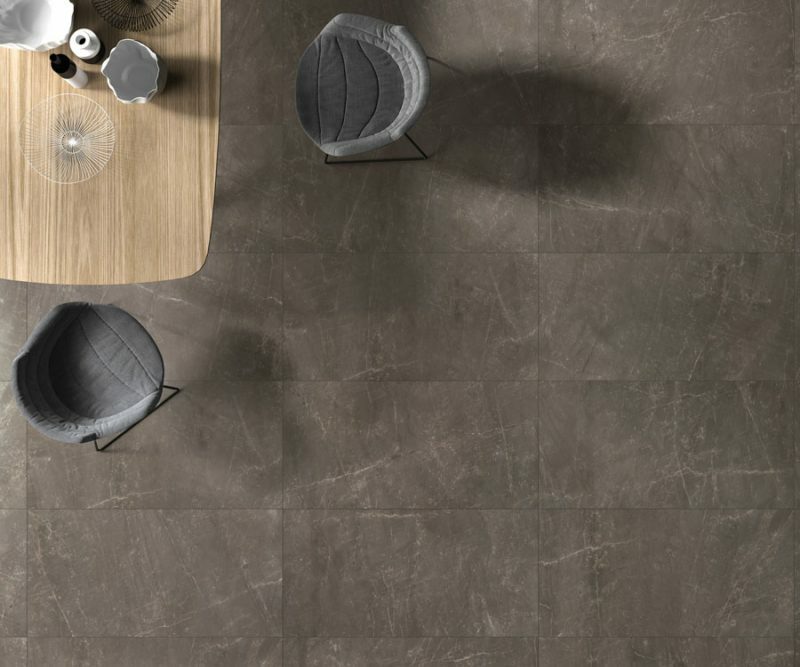 With this in mind contemporary design is suited towards large scale tiles, which creates visionary continuity and openness within any environment. Keep it simple and choose a tile that will not detract from a streamline feel. 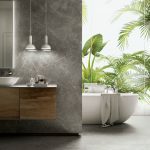 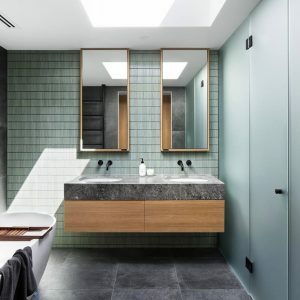 Choose a tile with movement or neutral tones which can be pared down, and a room accentuated with accessories such as tapware, mirrors, or lighting to create drama. 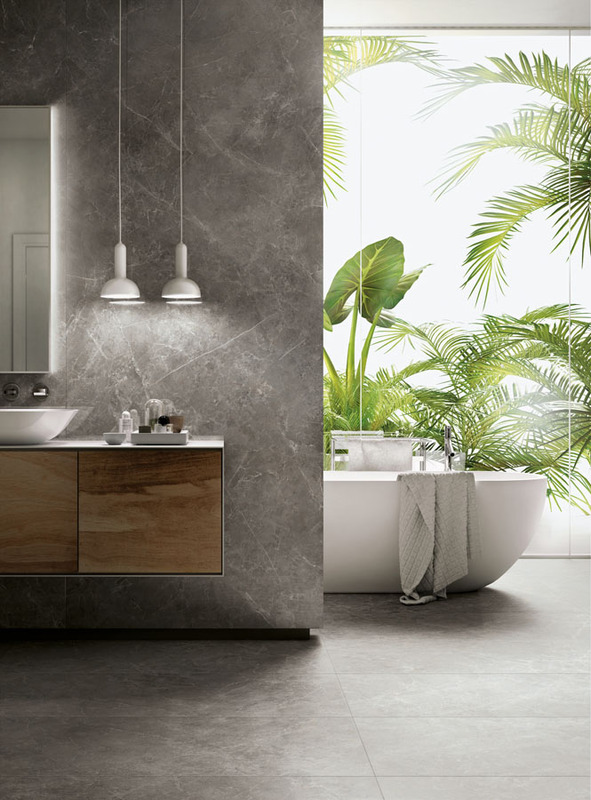 Most contemporary rooms don’t usually have much in the way of heavy moldings, so large walls shine best amid the use large format tile sizes, such as our Trilogy 3x1m thin porcelain sheets. 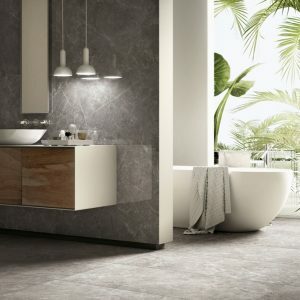 Larger tiles create seamlessness in contemporary architecture for spaces wanting originality and visual impact.